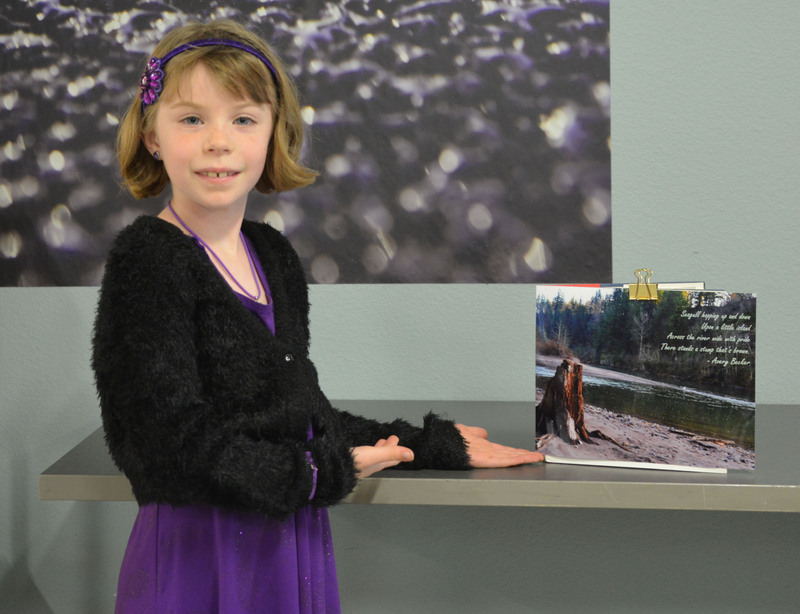 One of our proudest accomplishments this year has been a nature writing workshop through Straub Environmental Center and made possible by the Gray Family Foundation. 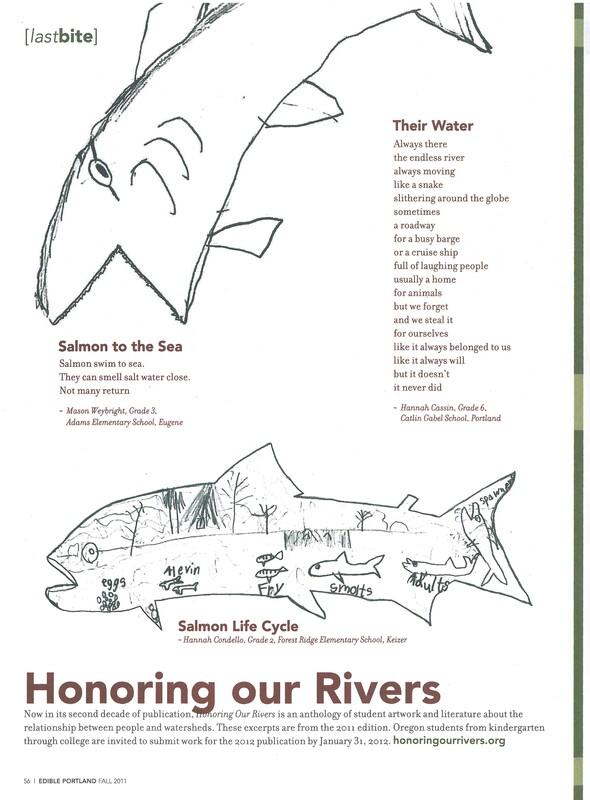 Teachers learned how to integrate nature into the classroom, and their students submitted to Honoring Our Rivers as part of the deal! What a win-win! Learn more at the Gray Family Foundation. 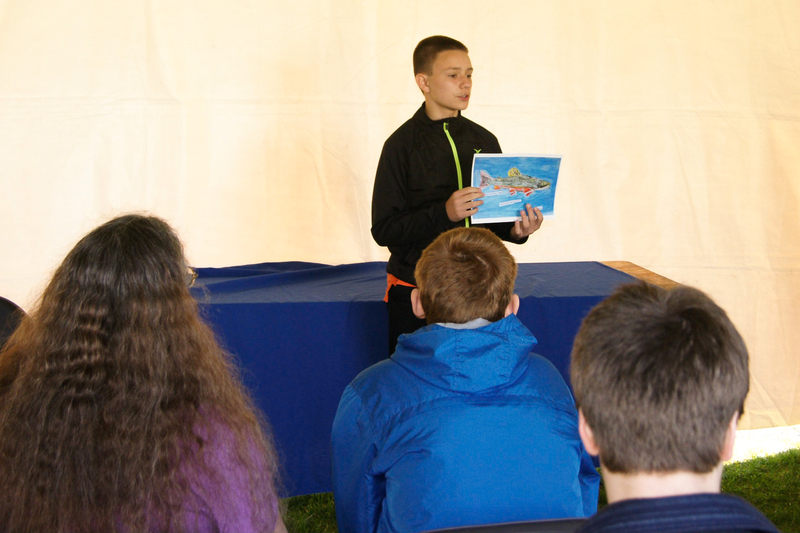 We had a great time at Earth Day PDX on April 25th at Normandale Park in Portland showing off the newest edition of Honoring Our Rivers! 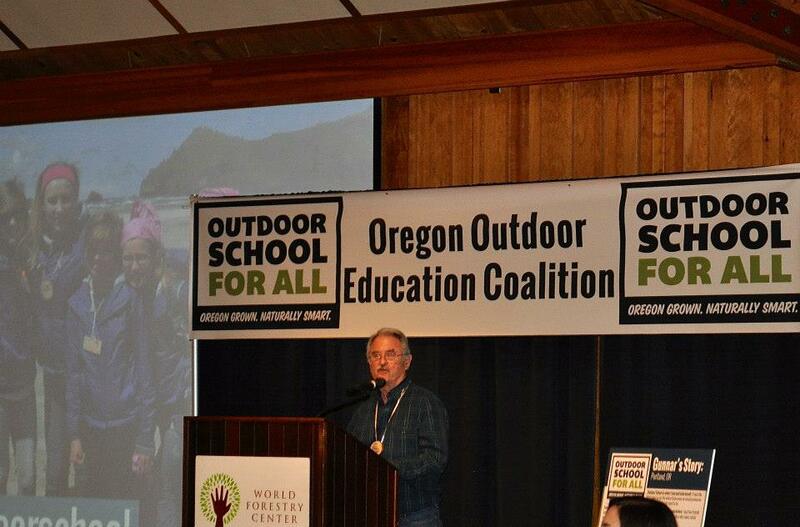 We were proud to stand with the Oregon Outdoor Education Coalition, working to ensure that Oregon's students have access to outdoor school. For more information, visit Outdoor School for All. We enjoyed the hospitality at the Nyberg Rivers New Seasons Market in Tualatin while taking the opportunity to admire the HOR display - their first display in their new location! 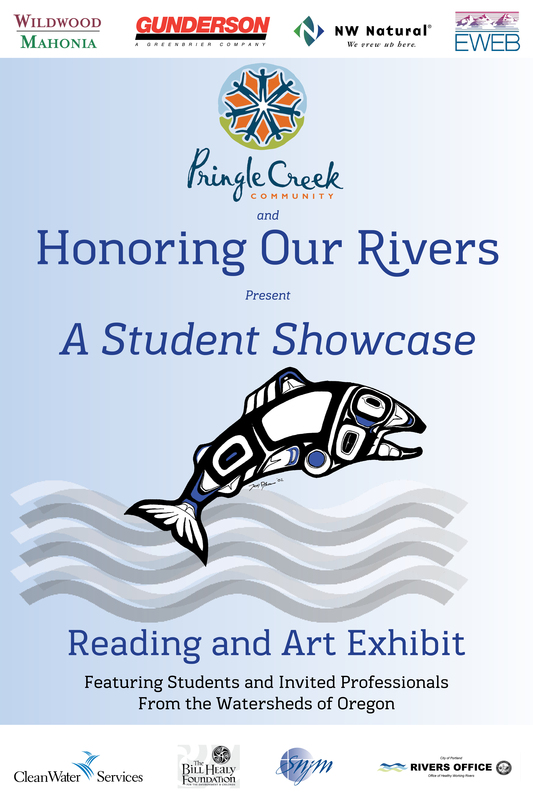 While the storm raged outside, Honoring Our Rivers spent a wonderful afternoon at the Pringle Creek Community in Salem sharing poetry and art. Thanks to everyone who made it out! 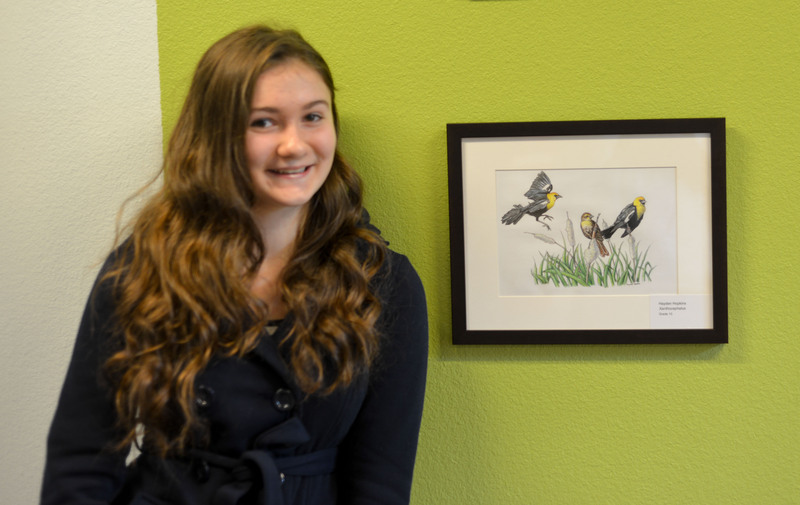 In an exciting new partnership with the New Seasons at Nyberg Rivers Shopping Center in Tualatin, Honoring Our Rivers will display student art. 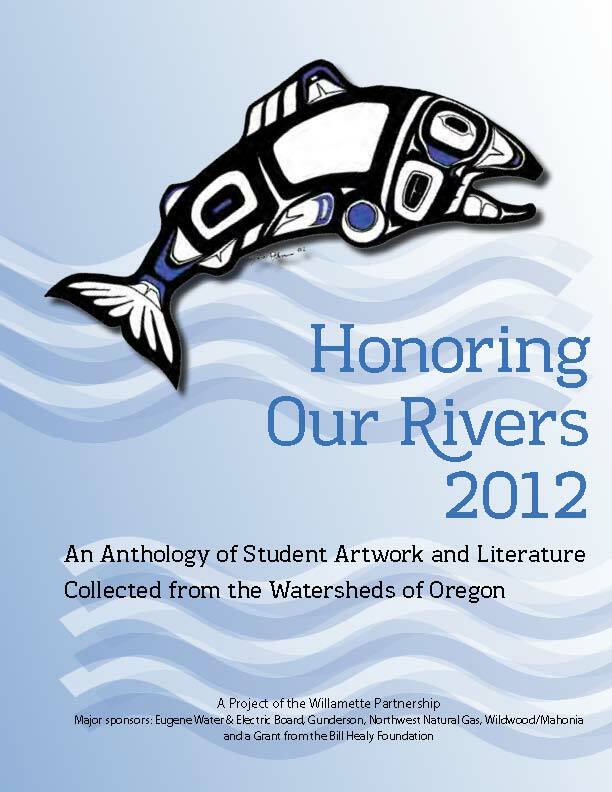 The art honors the rivers of Oregon, as well as the nearby Nyberg Wetlands, which has been preserved through the Wetlands Conservancy. Come check it out at the grand opening, October 22! 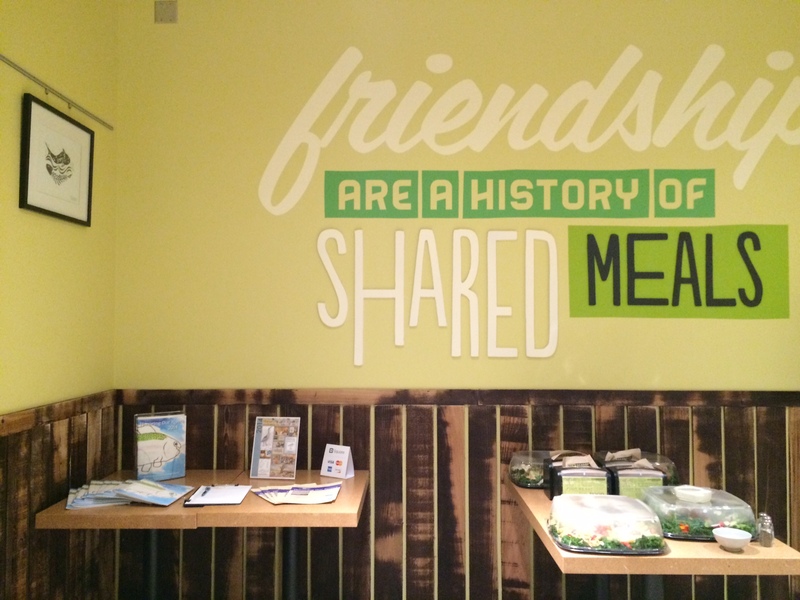 Special thanks to Livestock Printing and Framing for their help with this beautiful display! 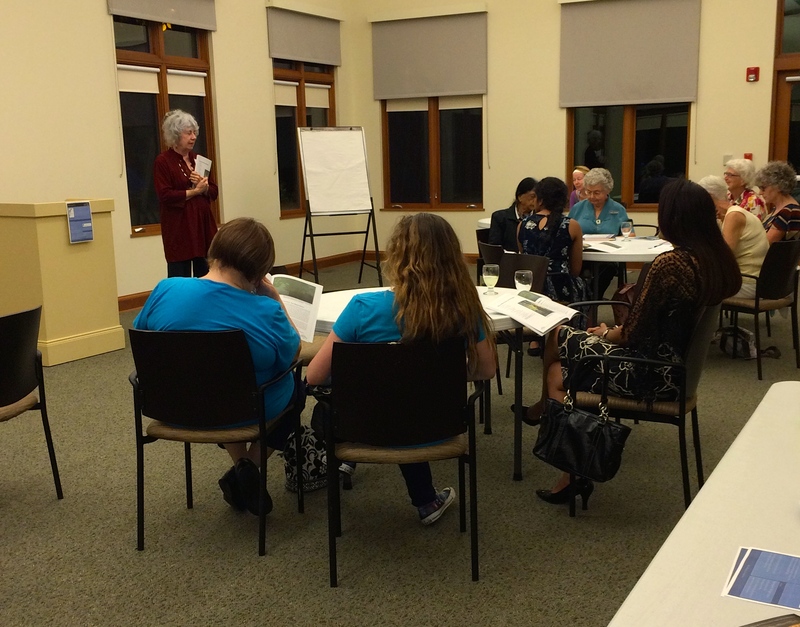 Our student writers and their supporters gathered at the Holy Names Heritage Center in Lake Oswego on September 21st to share their work as part of the Peregrine Literary Series hosted by Joan Maiers. Former poet laureate Paulann Petersen also stopped by to share her work! 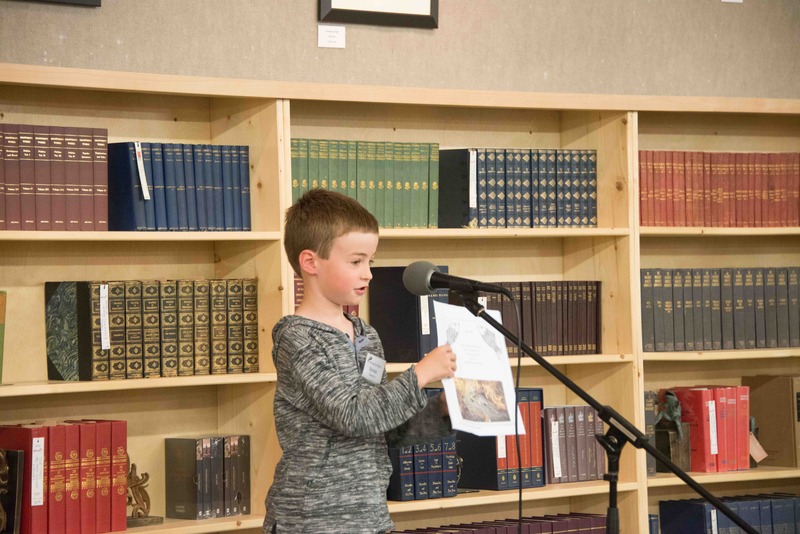 Student readers were Jared Norman, Olivia Bendis, and Anushka Nair. What a wonderful evening of poetry! There were many great opportunities this summer to get up close and personal with the Willamette! We joined the Human Access Project for The Big Float in July as well as the Port of Portland for the Seaport Celebration in August. Thanks to our sponsors, partners, and to everyone who came out! 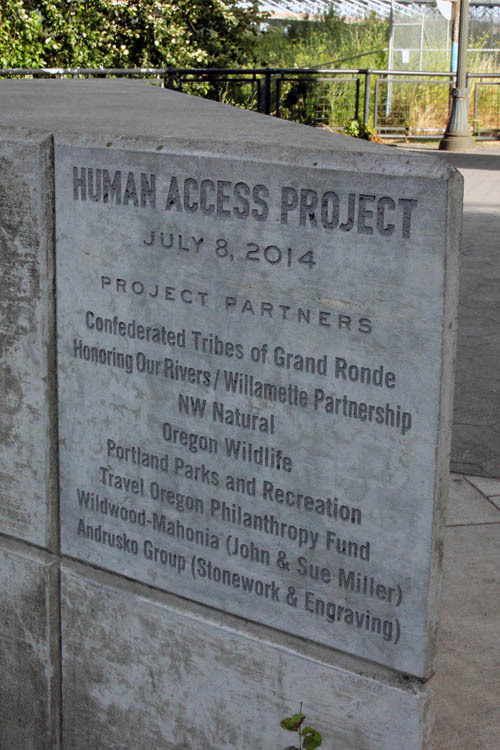 The Human Access Project is helping people enjoy, preserve, and cherish the Willamette River. 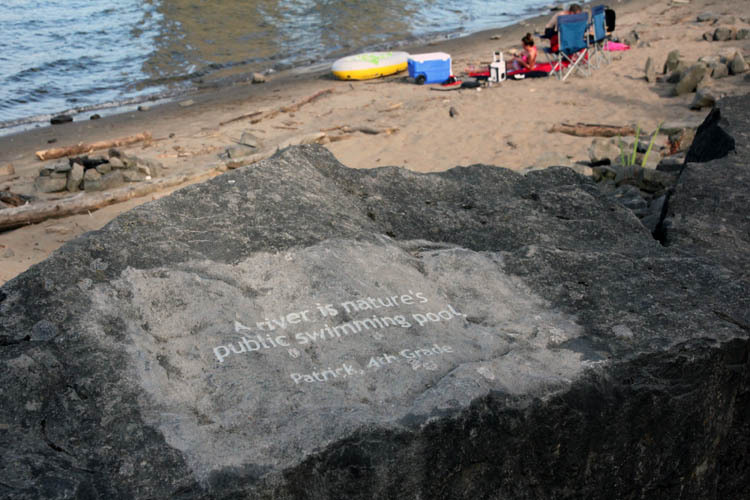 We were proud to attend the dedication in July of "Poet's Beach", just under the Marquam Bridge. The beach is now open to the public! 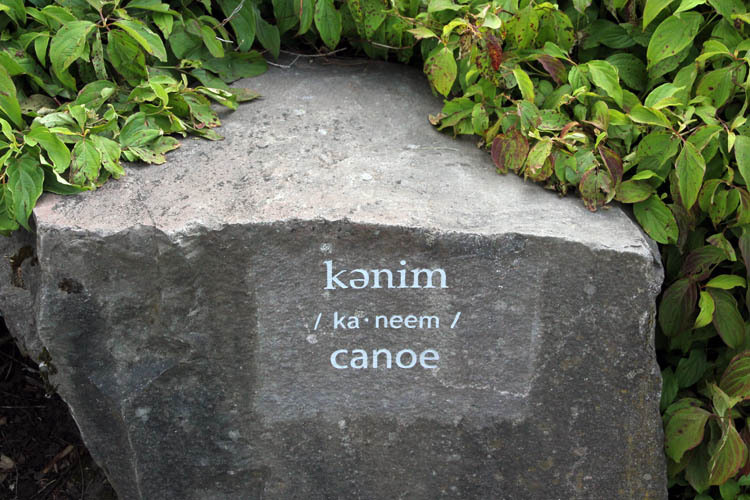 Along the pathway down to the river are stones engraved with lines from Honoring Our Rivers anthologies alongside words and translations from the Confederated Tribes of Grand Ronde. 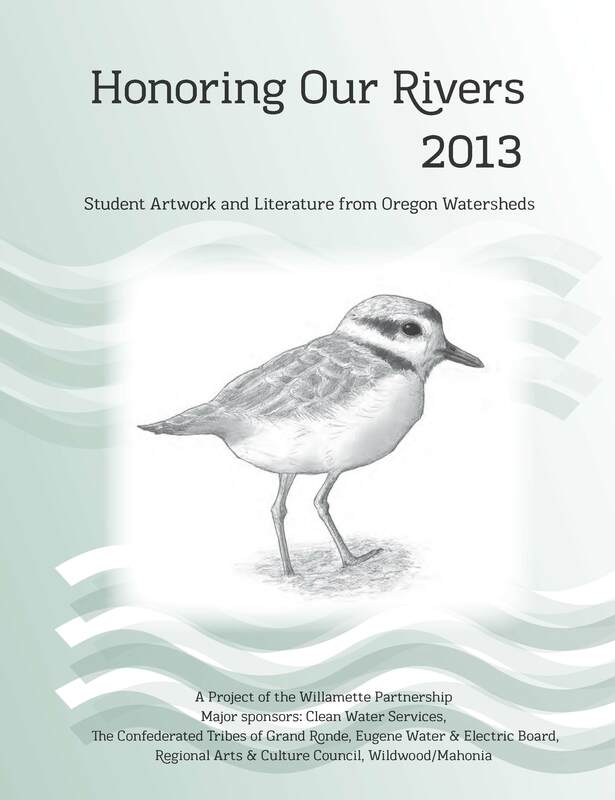 We are proud to be part of efforts to connect people with their river! 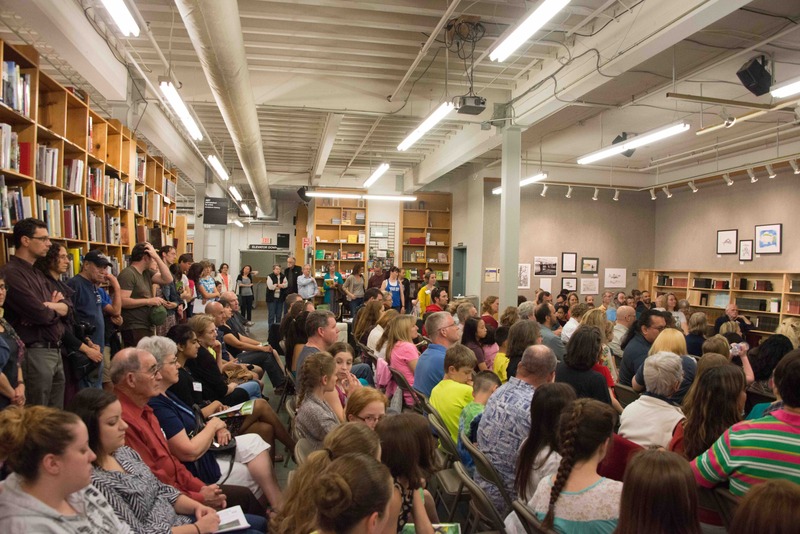 Sunday, May 4 from 4pm - 5pm in the Pearl Room at Powell's City of Books in downtown Portland (1005 West Burnside St; Portland OR 97209). 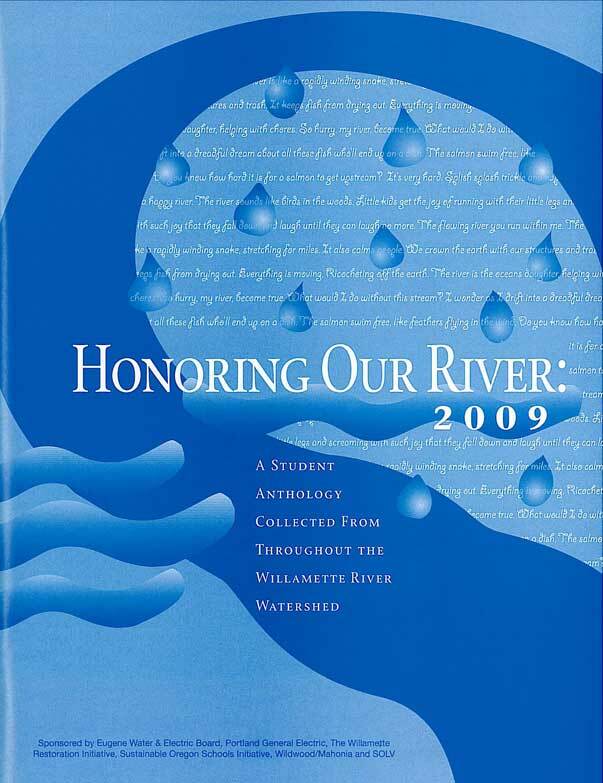 Select student authors will read alongside published authors Abby P. Metzger and Richard Mack. 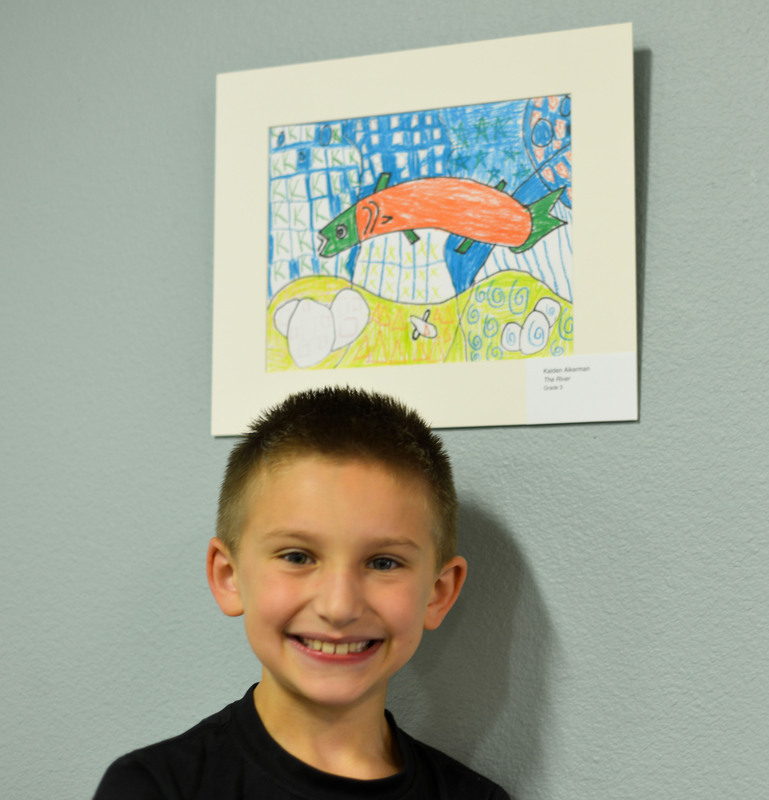 25 Student artworks were selected for a traveling art display, starting with the event at Powell's. 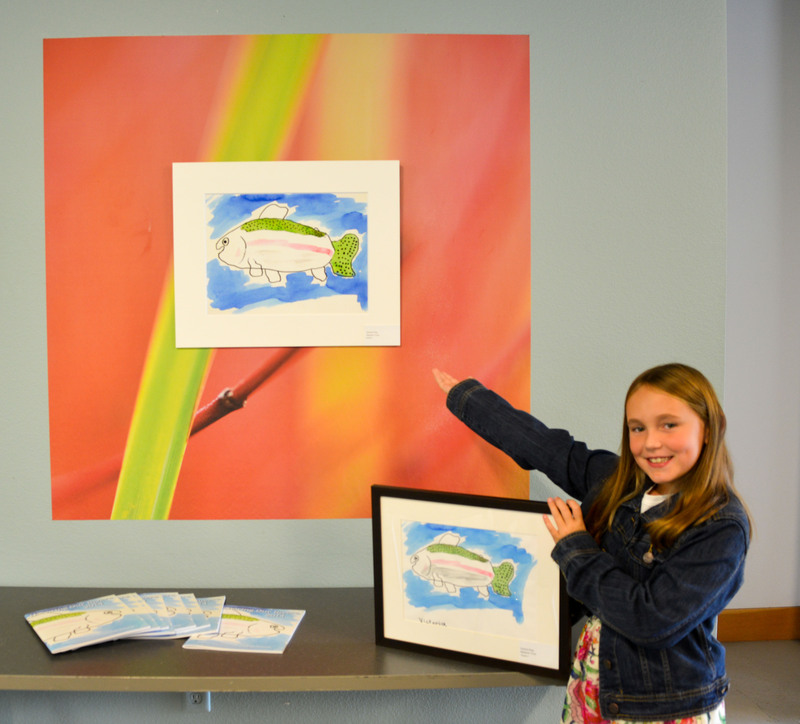 Thank you to J. Rollins Art of Framing for generously mounting/matting the selected artwork! 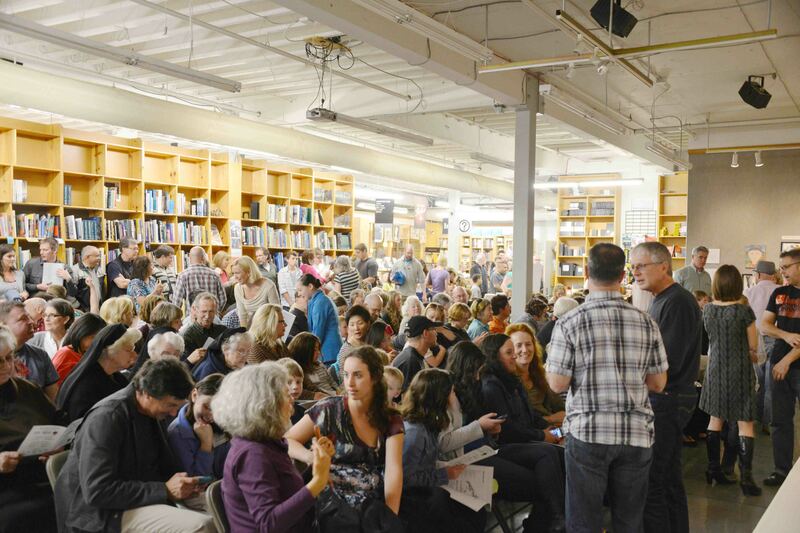 If you join us, please enter Powell's at 11th and Couch due to current remodeling at their downtown location. 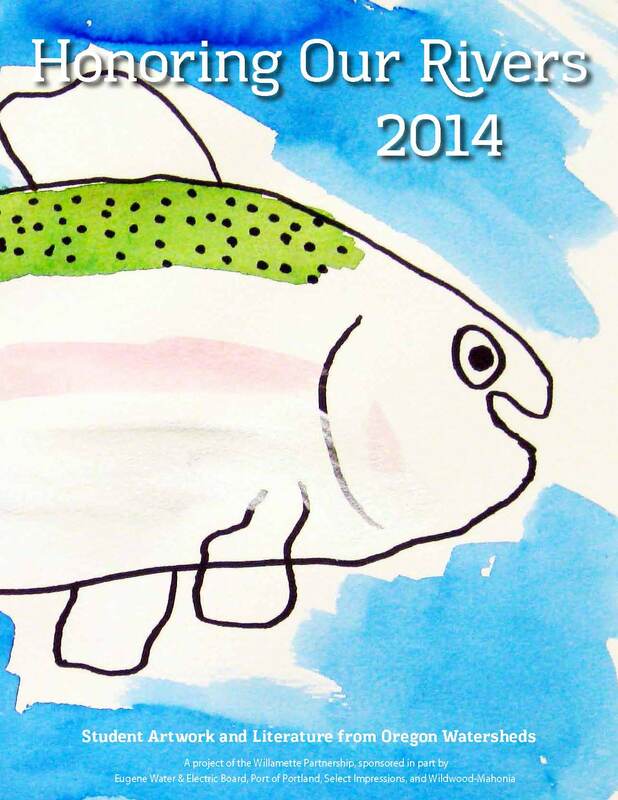 Also featured are the publication's Invited Author, David Hedges, and project coordinator, Sarah Schra. Hosted by Joan Maiers, this event is FREE and open to the public. Canned goods will be collected for a local Food Bank. Abundant and accessible parking. 2 miles south of Lake Oswego on Hwy 43. 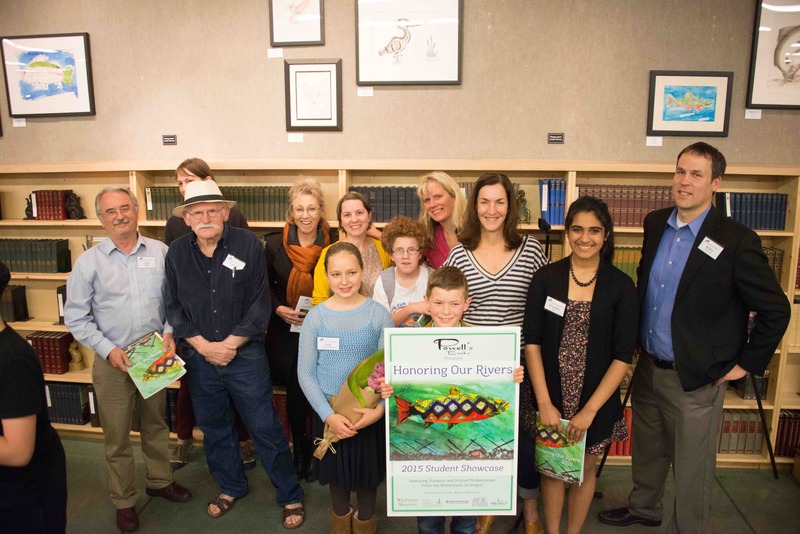 Friends and family came together to celebrate the artwork and poetry of Oregon Students at the Honoring Our Rivers open house event at Powell's City of Books. 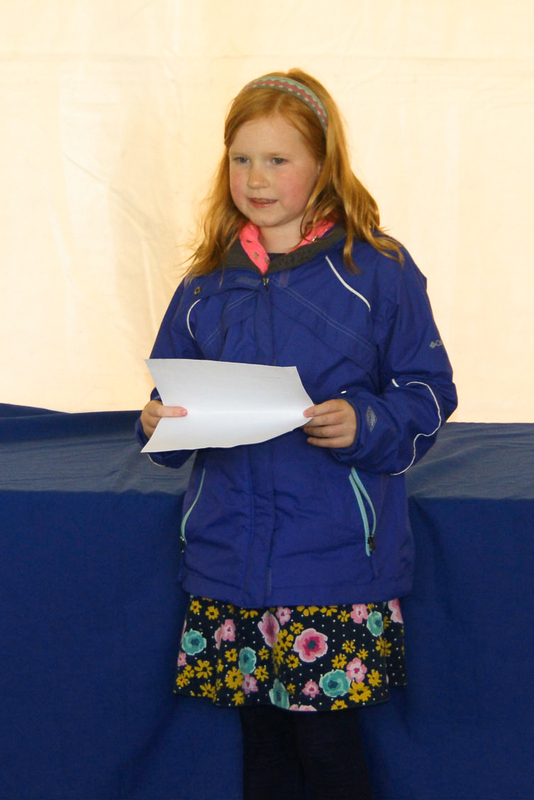 Visual artists whose work was on display also had an opportunity to say a few words about their artwork. 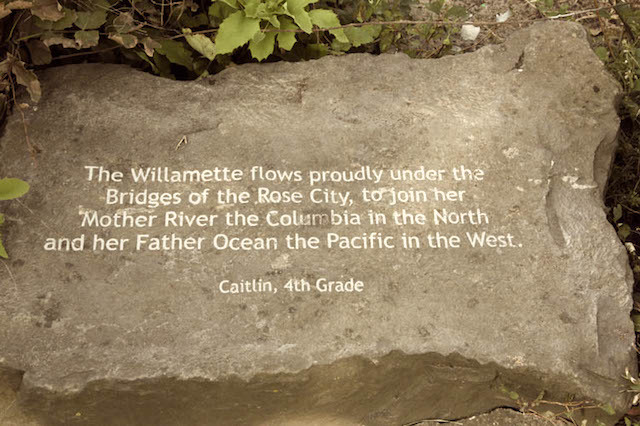 The “Take Me to the River” project was developed by Honoring Our Rivers, an ongoing program of the Willamette Partnership. The project was funded in part by an educational grant from the Regional Arts & Culture Council. 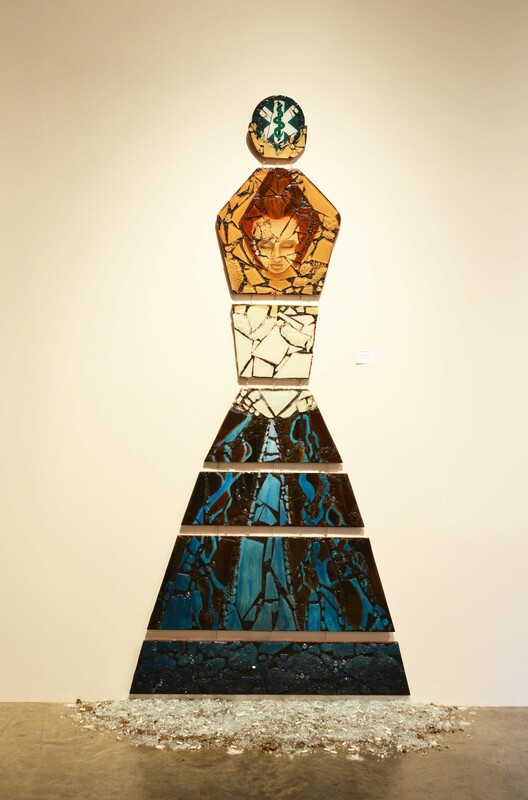 The exhibit ran from April 16-24 at the Disjecta Center for Contemporary Art. 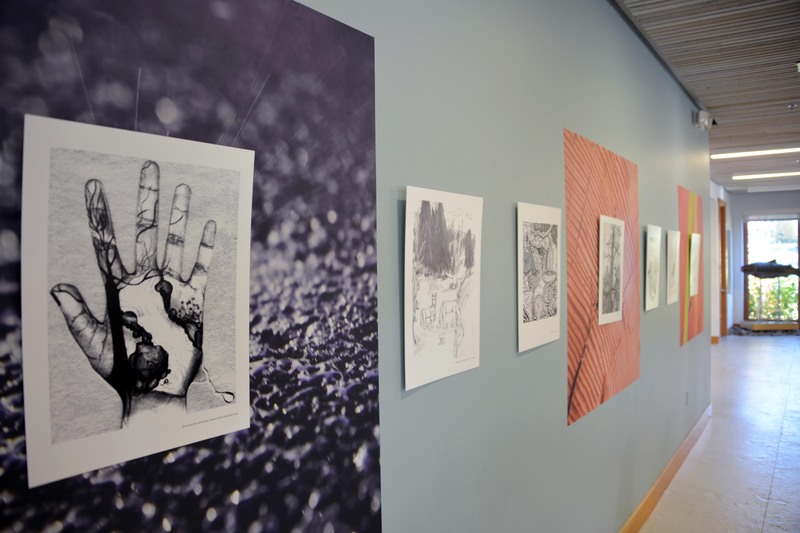 Over 85 student works were presented and more than 200 attendees enjoyed the show. Cleveland High students and teachers participating in the “Take Me to the River” project (read more in our April eNewsletter) have been recognized by PPS Pulse, the popular online newsletter put out by Portland Public Schools. Visit www.pps.k12.or.us/pulse/ to view the story and photos of the show. More Info: Readers/Artists should plan to arrive by 2:45 pm to check in with Sarah Schra and ensure their spot on the program. 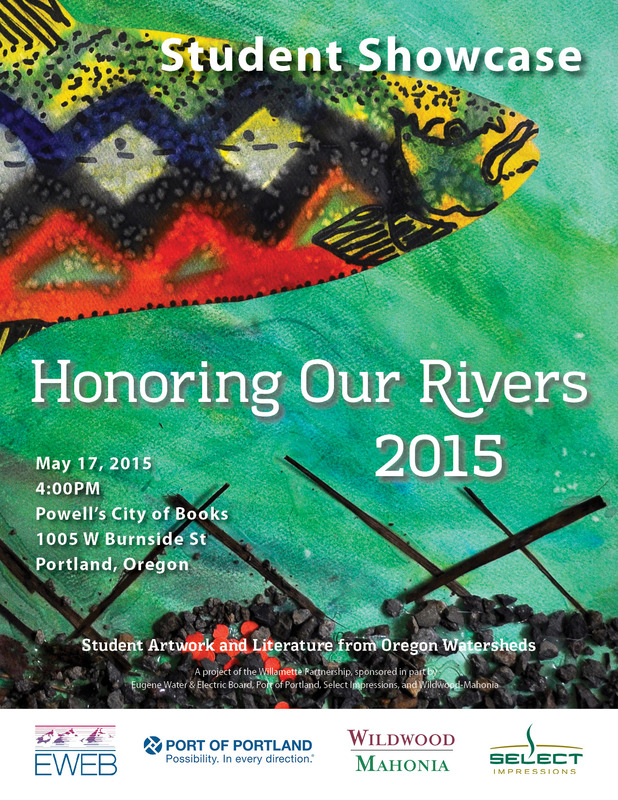 Please RSVP before the event to info@honoringourrivers.org if you plan to participate as a reader. or RSVP to our event page on FaceBook. 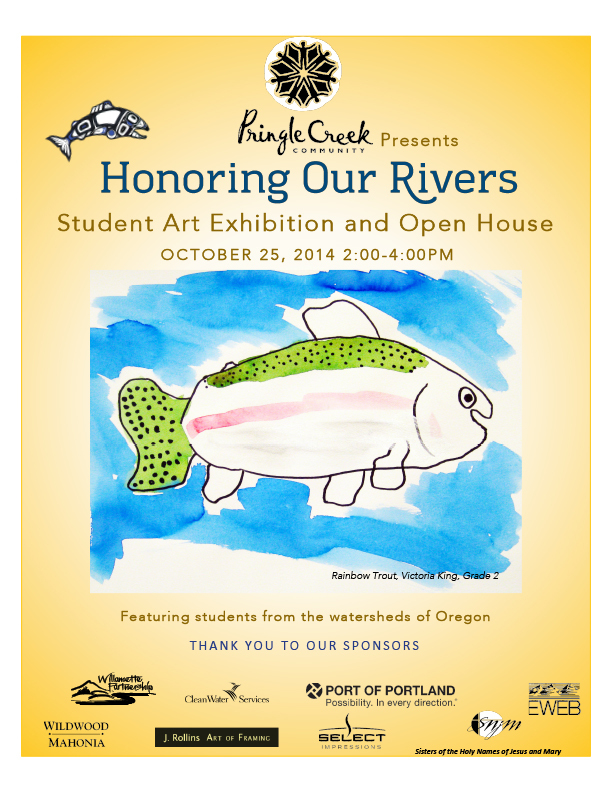 Bring friends and family along to celebrate the artwork and poetry of Oregon Students at the Honoring Our Rivers open house event at Pringle Creek (see details below) with reception following the event. We still have room on the program for student readers. 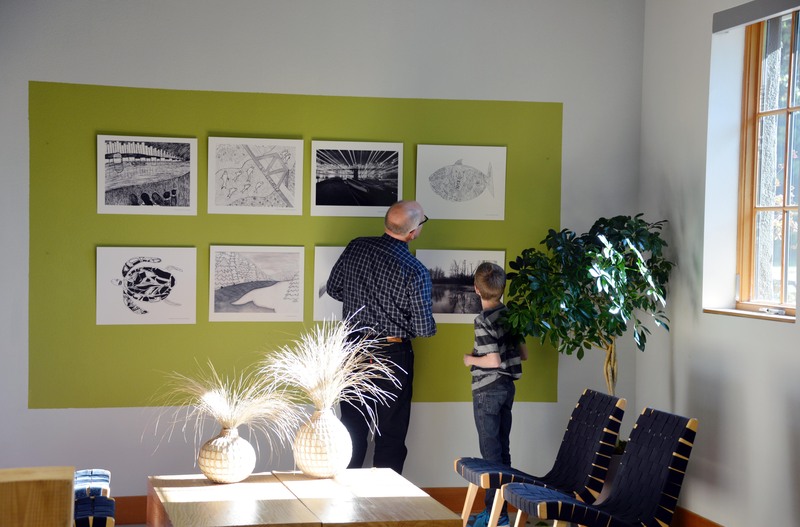 Visual artists whose work will be on display will also have an opportunity to say a few words about their artwork. 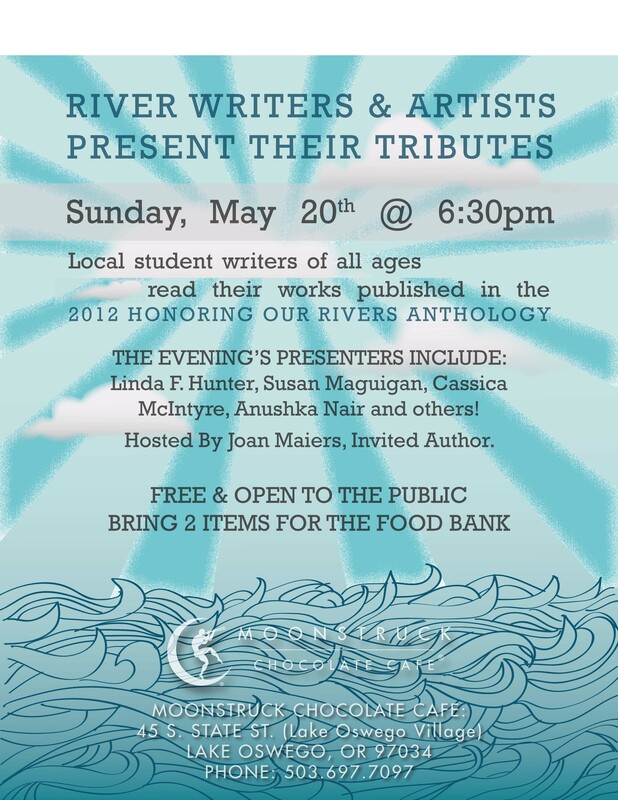 If you would like to be a reader at the event, or are an artist who plans to attend, please email Sarah Schra at info@honoringourrivers.org. 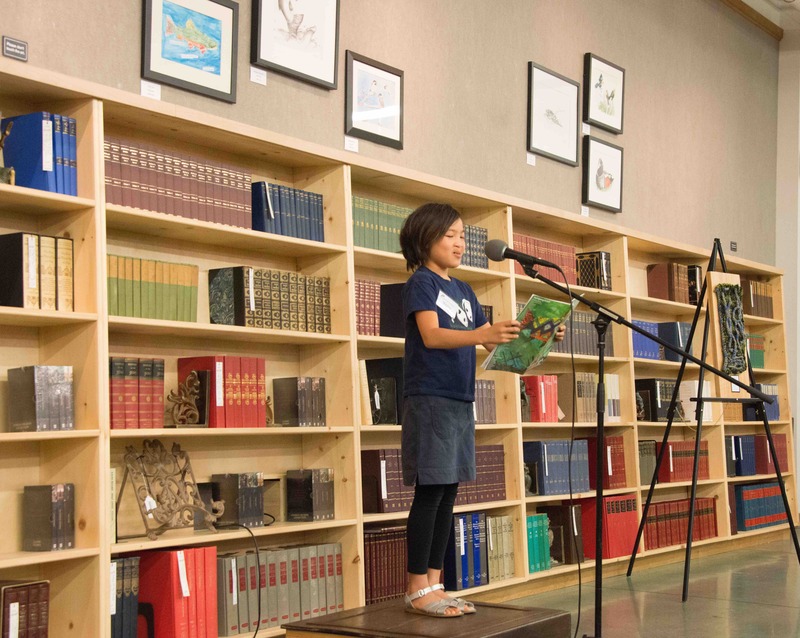 You won't want to miss the juxtaposition of great chocolate and the works of talented young authors.